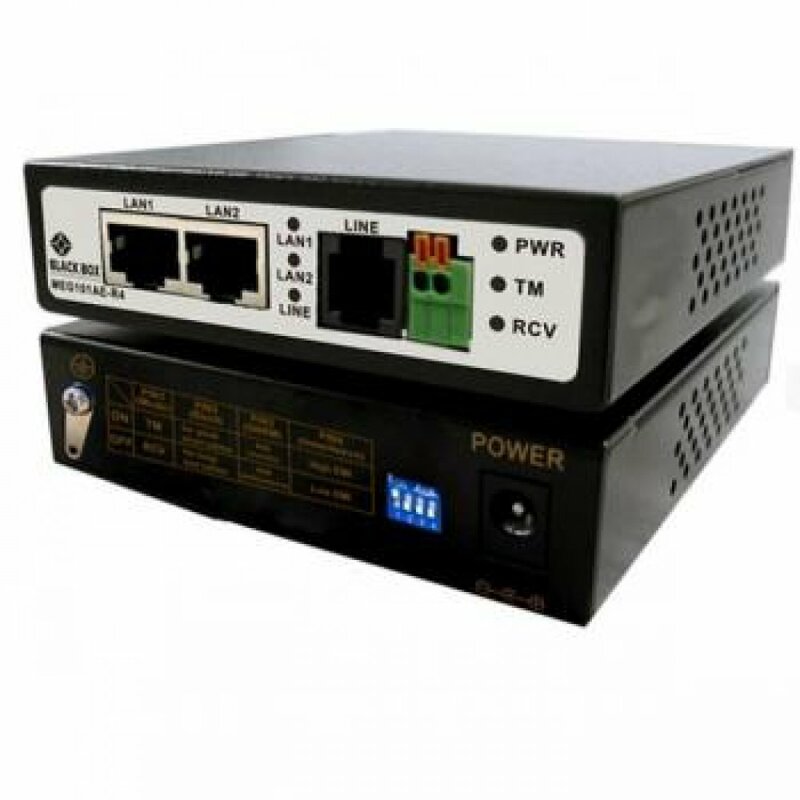 Blackbox Meg101AE-R4 VDSL2 Mini Modem is a VDSL2 single port bridge equipped with two 10/100Mbps Ethernet ports that provide an economical solution for commercial-grade applications. Compliant with ITU-T G.993.2 VDSL2 standard, the NV-202 supports a maximum bandwidth of up to 100Mbps symmetric in VDSL2 Profile (30a) solution. The VDSL2 Mini Modem also supports both central office (CO) and customer-premises equipment (CPE) modes selectable through DIP Switch. 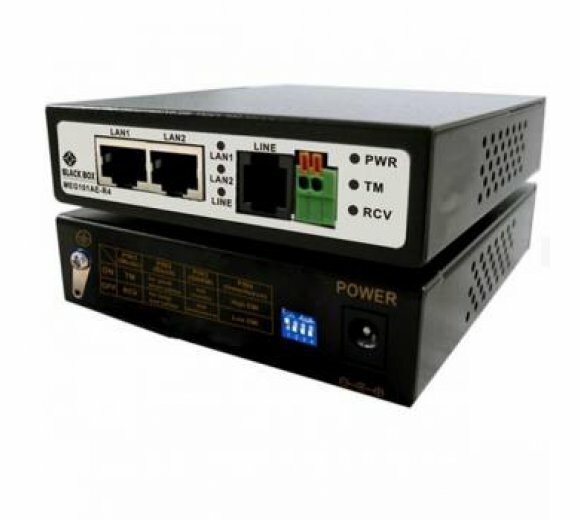 Since Blackbox Meg101AE-R4 VDSL2 has the characteristic of higher bandwidth over shorter distances, the ideal architecture for Telcoms is to use fiber optic lines as the backbone and a VDSL2 line as the last mile into the home or office. With outstanding throughput, the VDSL2 Mini Modem can complement a fiber network to offer the best solution for delivering Triple play(Video/Voice/Data) or home entertainment services.
? Supports RJ-11/Terminal Block combo for Line port. Note: Specifications in this datasheet are subject to change without prior notice.